It is a requirement of your Agreement, that the goods are protected against Theft and Accidental Damage. We can arrange Theft & Accidental Damage Cover for £0.56 per week. It is a requirement that products purchased on a credit agreement are insured. We can offer Theft and Accidental Damage Cover for £0.56 per week. 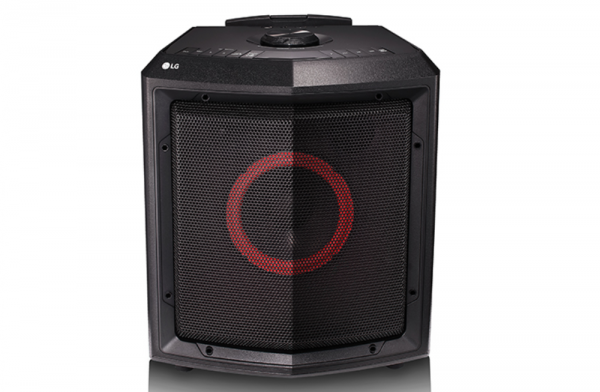 The LG FH2 outdoor party speaker is perfect for your home as it has Bluetooth connectivity, up to 15hrs battery life and robust wheels for transportation. You can connect up to 3 Bluetooth devices simultaneously and swap between yours and your friend's music. This product also has an FM tuner and USB port for external connectivity. Live Loudly, Pay Weekly.